Ed Sheeran at the Divide Tour in Vancouver on July 28th, 2017. 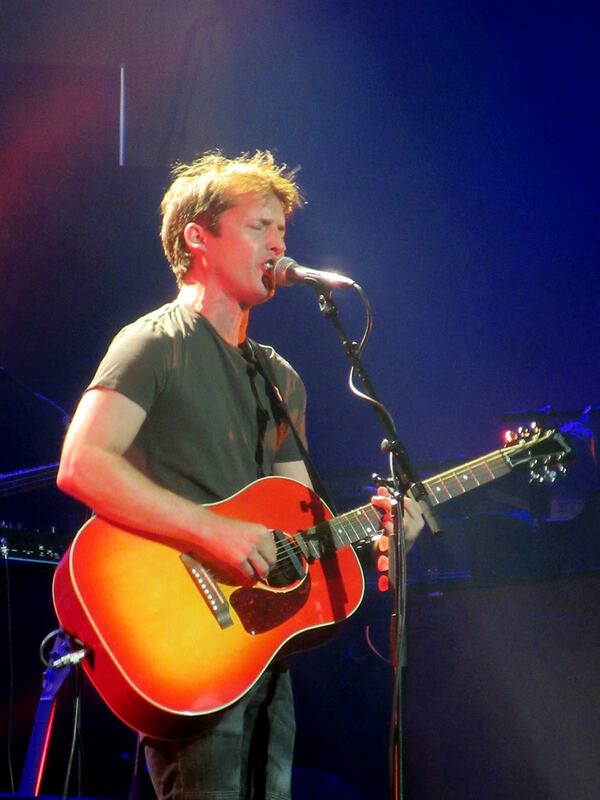 Opening the show was James Blunt, the self-deprecating though endearingly humble singer-songwriter famous for that one song everyone secretly (or not so secretly) dedicated to their high school crush. That’s right — “You’re Beautiful.” More than a basic one hit wonder, Blunt also performed two songs recognizable to acoustic music-loving fans — ”Bonfire Heart,” and “1973.” Rounding out Blunt’s set were tracks from his most recent album, The Afterlove, many of which he wrote with his pal Sheeran during sessions in Switzerland, including “Time of Our Lives,” “Heartbeat,” “Someone Singing Along,” “Don’t Give Me Those Eyes,” “Make Me Better,” “Bartender,” and “OK.” Throughout Blunt’s forty minutes in the spotlight, the audience was incredibly receptive to the singer, guitarist, and pianist, even giving him lights when requested. True to his joking nature, Blunt teased the crowd about using, judging, and generally making them feel uncomfortable, which he definitely accomplished the opposite of. With just a pedal board and a rotation of guitars as his accompaniment on stage, the one-man showman is a wonder to watch live in concert. 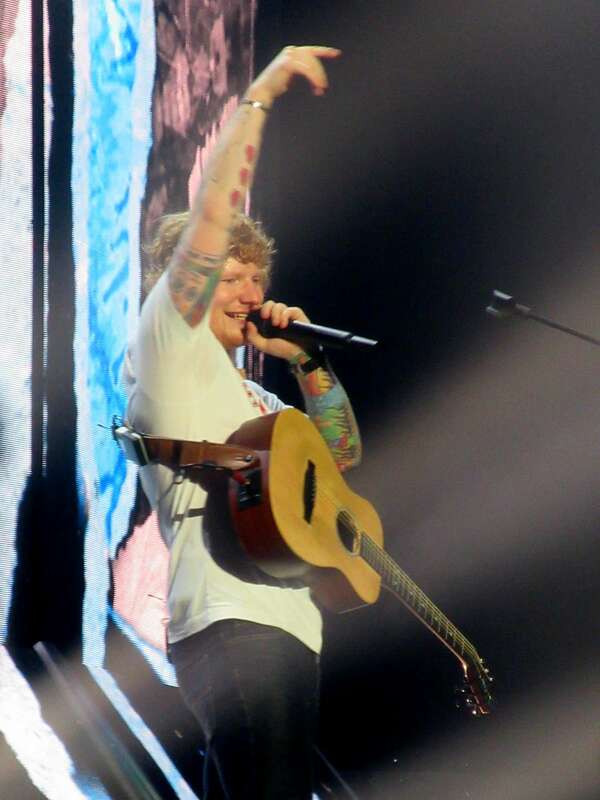 With a voice that can fill the whole arena, Sheeran also acts as his own band and producer. Through intricate techniques of self-sampling, he creates his own backing tracks and framing beats, as well as utilizes the noise of the crowd to fuel his performances night after night. His enthralled audience brought to life the line “under the light of a thousand stars” by illuminating the room with their phone flashlights during “The A Team,” participated in mirroring the pulsing beat of “Bloodstream” with arm movements, and sang out loud to every verse and every chorus of every song. 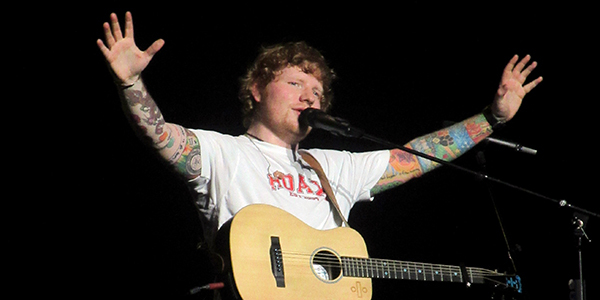 During his acoustic guitar rendition of “Dive,” Sheeran encouraged a friendly rivalry between the neighboring Canadian city of Edmonton in a contest of “Which crowd can sing louder?” (Spoiler alert: Vancouver won.) The admission that the west coast city is his favourite in Canada was met with wild approval. It is quite impressive how Sheeran can capture everyone’s undivided attention and connect with each person in the audience. For his encore, Sheeran ended with an explosive twofold performances of the chart-topping lead single “Shape of You” and the hip-hop influenced kiss-off track from his early days, “You Need Me, I Don’t Need You,” in which Sheeran shows off his flair for rapping. 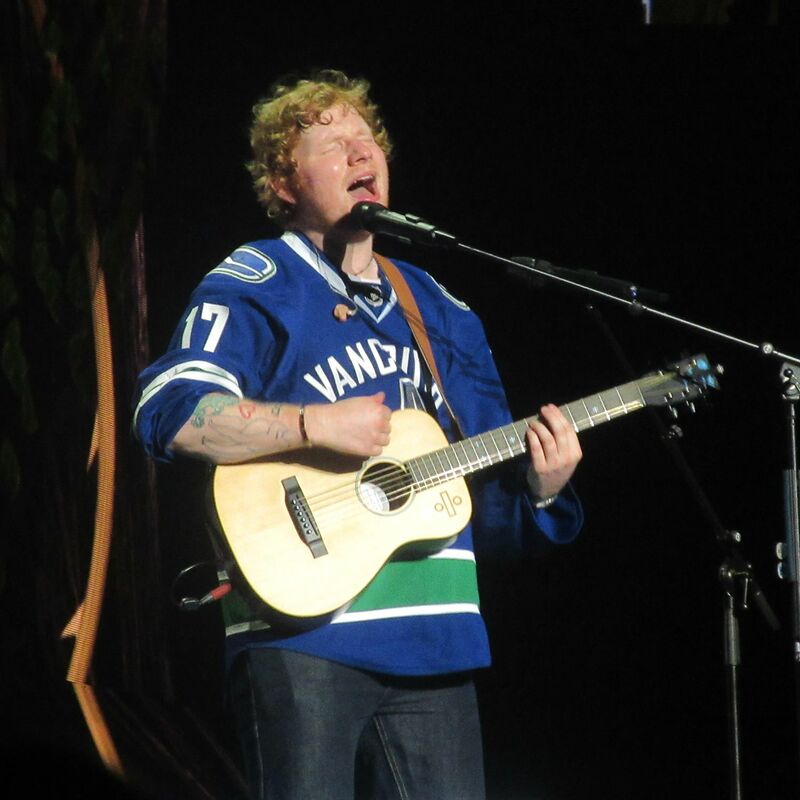 As Sheeran wore Michael Buble’s Vancouver Canucks hockey jersey and waved a Canadian flag high in the air, his fans pledged their allegiance to the singer with boy-next-door charm and tremendous raw talent. Ed Sheeran is currently performing across North America and will be extending his Divide Tour to Asia, Oceania, and back again to Europe until August 2018. For concert dates, visit edsheeran.com. Images and videos courtesy of the writer.